A tropical-themed pool party at Macau's hottest new destination with one of the most sought-after DJs on the planet. The hottest new destination in Macau is showing no signs of turning down the heat this summer. 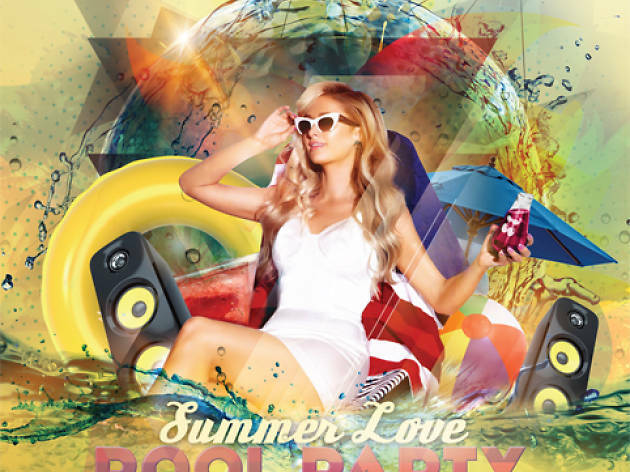 Studio City is kicking off their Summer Love Pool Party series with a bang this June, and have drafted in Paris Hilton to do it in world-class style. One of the most sought-after DJs on the planet right now, the heiress will bring the energy and flair that saw her hold a residency at iconic Ibiza club Amnesia for three consecutive summers to our sister SAR's tropical-themed poolside day out. And befitting the Ibiza theme, the party will continue at Pacha Macau from 10pm. You won't need to worry about straggling on to the last ferry, either, with special room rates on offer for the night at both Celebrity Tower and Star Tower. The deals include admission for both the pool party and the after party, as well as complimentary tickets to Studio City's showstopping Golden Reel, the world's highest figure-eight Ferris wheel.